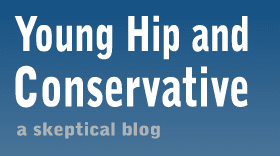 Young, Hip and Conservative: a skeptical blog: Who wants to eat a hateful cake? One of the advantages of being right is you don't have to adjust your opinion as often. For the past year we've heard from progressives that it should indeed be unlawful for a bakery to discriminate against customers who want to buy a cake for a gay wedding. Libertarians like me rejected the baker's decision and opinion on gays, but ultimately felt it was their right as a business owner and artist to turn away customers for whatever reason they want. As a result, Jack filed a complaint with the Civil Rights division of the Department of Regulatory Agencies. The bakery is now under investigation for religious discrimination, and if the agency feels discriminatory acts were committed, the case could move forward to the Colorado Civil Rights Commission. Yin and Yang here. Two cakes one pro-gay and one anti-gay, and two bakers who said no. I see no fundamental difference and I want both bakers to have the same options, and not just the baker I agree with. The ACLU attorney on the case says that Bill Jack wasn't turned away because he was Christian, but that he wanted them to write an offensive message on the cake, while the gay couple was turned down because the cake would be for a gay wedding. Honestly, there's a good chance that will stand up in court, but it doesn't address the heart of the matter, that no one should be forced to make a business deal with someone they don't want to. A right wing NPR guest on the first cake issue told about trying to hire a photographer for his conservative group's portrait images only to be turned down by a progressive photographer. He said that was her decision to make, and it would be wrong to get the law involved. I totally agree, and the only legal difference is that political groups are not protected from discrimination the way racial, gender or sexual orientation groups are. But so what? That's a pretty lousy argument, that discrimination is only bad when the government declares it to be through legislation. I'd rather see people free to accept or reject business with whomever they choose, which is a right enjoyed by customers as well.